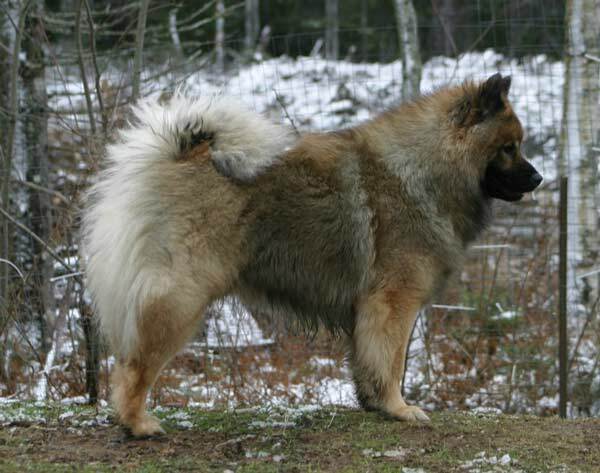 Origin: Developed in Germany in the 1960’s by first crossing a Chow and a wolfspitz and this was called a wolf-chow. 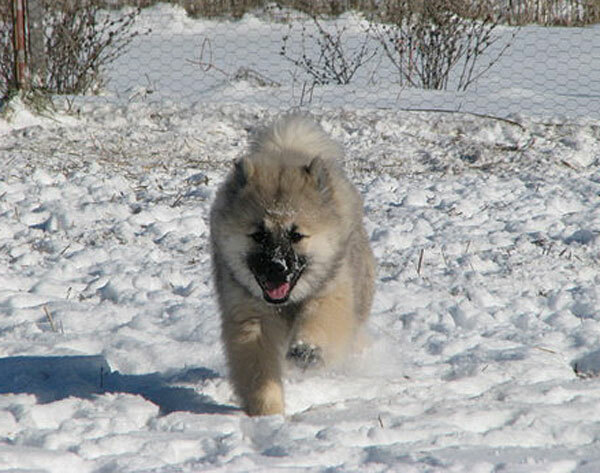 Later a Samoyed was introduced and the breed was renamed Eurasier and was recognized by the Canadian Kennel Club in 1995. General Appearance: Medium sized spitz type, with wedge shaped head, prick ears, medium bone and bushy tail carried over back. Coat: The breed is heavily coated, with thick medium length hair, dense undercoat, and harsher top coat. Expect a heavy coat blow/shed at least once per year. Colours: All colours and combinations of colours are acceptable but never pure white, liver, or with white patches. Nose and lips are black, as are foot pads. Temperament: Excellent family companion. Calm and even tempered, and may be sensitive and reserved towards strangers. Prefer to have close contact with humans in a family/home setting. They do not do well alone in a kennel situation or confined space. Discipline and training must be kind and gentle, never harsh. Typically are not aggressive towards other dogs and rarely bark. Training & Obedience: Crate is always a must with puppies. Eurasiers can do well in obedience and agility, but training methods are never to be loud and unkind. Diet and Exercise: Eurasiers can do well with any good quality kibble, and they are typically good eaters. After 12 months, a once a day feeding will suffice. 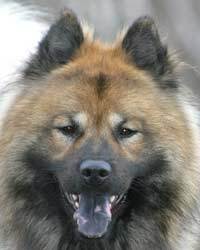 The Eurasier is a strong long lived dog with few health concerns. They enjoy walks and outdoor controlled exercise but always on a leash or confined. A good dog for joggers or walkers.